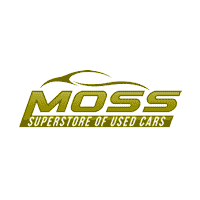 Moss Superstore is a used car dealership in Lafayette, LA that offers quality pre-owned vehicles. Our friendly team of professionals encourages you to make your way over from Abbeville or Broussard for a hands-on experience of all we have to offer today! Talk to us about the used car you’re looking for or the amenities you deem important. We’ll introduce you to impressive options that complement your on-road needs and will get you set up for an invigorating test drive. Don’t hesitate to trade-in and trade up today, contact Moss Superstore now! With help from our finance department, you can drive home in one of our exciting used car options today! We offer competitive rates for drivers that hold pristine credit scores and comprehensive assistance for those who are looking for bad credit financing options. Don’t miss your chance to own a secure vehicle that you can enjoy for many years to come, visit our dealership near New Iberia, LA to speak with a finance associate today. Ready to apply for a car loan right now? Complete the online credit application that can be found right here on our website now! We’ll be in touch to discuss all your options soon.